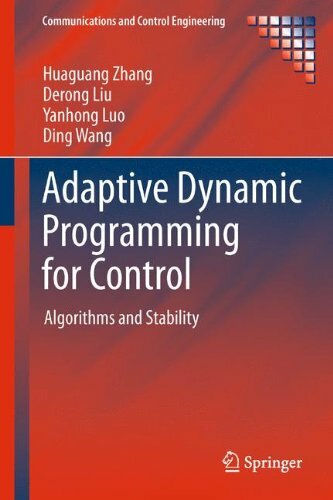 Huaguang Zhang, "Adaptive Dynamic Programming for Control: Algorithms and Stability (Communications and Control Engineering)"
• nonlinear games for which a pair of mixed optimal policies are derived for solving games both when the saddle point does not exist, and, when it does, avoiding the existence conditions of the saddle point. Non-zero-sum games are studied in the context of a single network scheme in which policies are obtained guaranteeing system stability and minimizing the individual performance function yielding a Nash equilibrium. • shows how ADP methods can be put to use both in simulation and in real applications. 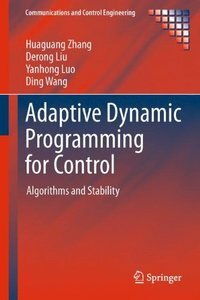 This text will be of considerable interest to researchers interested in optimal control and its applications in operations research, applied mathematics computational intelligence and engineering. Graduate students working in control and operations research will also find the ideas presented here to be a source of powerful methods for furthering their study.